Want to travel the world with your little ones but can't bring them to yoga classes yet? Don't worry! There are plenty of retreats that offer childminding, so you can travel with the family and still focus on your yoga practice! 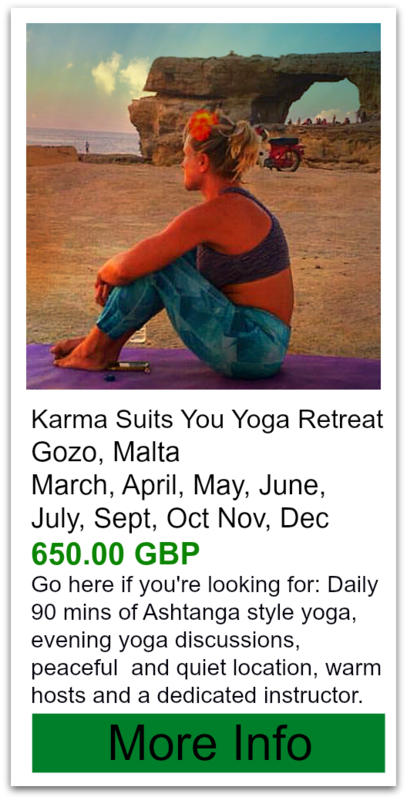 Open since 2006, with three passionate yoga instructors who love what they do are here to guide you along a wonderful yoga holiday!... Keep reading! 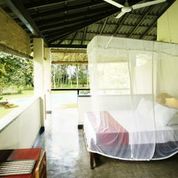 The centre is in the middle of a beautiful forest, surrounded by meadows and rolling hills. The 150 acre property is surrounded by 3000 acres of provincial land and has lots of hiking/skiing trails....keep reading! 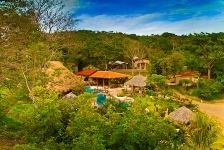 Description: Our yoga retreats feature daily morning meditation and pranayama, two 90 minute yoga asana classes per day, two mid afternoon Yoga nidra classes/yoga lifestyle discussions, one 1 hour full body signature Talalla Massage, villa accommodation, and delicious gourmet meals incorporating local fish, fresh fruits and vegetables. 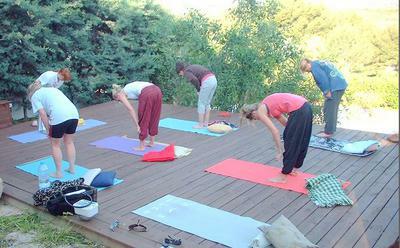 Retreats are led by our resident yoga instructors. Included are detailed instruction on pranayama and meditation as well as asana classes ranging from dynamic vinyasa flow to restorative styles. Yoga Nidra, or yogic sleep, is also introduced to induce a deep state of relaxation. Free time during the day is time for you: relaxing by the pool, walking along the beach, going for a surf or surfing lesson, or perhaps snorkeling around the reef at Talalla Beach. Description of Accommodations: Retreat accommodations are "techno-detox" and therefore do not feature televisions, phones or wifi. Instead, relax with open walls, to the sweet sounds of bird song. Bathe in your open-sky shower and be truly at one with nature. How long has the retreat company been operating? : 10 years. Growing up in the warm waters of Reunion Island, Angelique knows just how therapeutic life in the tropics can be. A surfer since her teens, she first encountered yoga after moving to Perth, Western Australia, where she went on to complete an intensive 1,000 hour Yoga Teacher Training with Jean Byrne. Angelique is a dedicated Ashtangi who has practiced in Mysore; she also teaches creative, dynamic Vinyasa Flow classes and gentler Hatha, with additional areas of specialization including Yin and Prenatal yoga. Her fun, positive style of teaching is intended to make yoga accessible to all levels of students— even stiff surfers! Much-loved Sandra is French Swiss, fluent in English, and for the last 25 years has lived in Asia where she has met the Buddhist Dharma and the joys of Yoga. After studying and practicing Yoga for more than thirteen years, her teaching emphasises alignment and breath awareness, and is nourished with heart and joy. She is influenced by the great Masters BKS Iyengar and Sivananda, and introduces Vinyasa flow inspired by Sharon Gannon and David Life from the Jivamukti. All of Sandras classes are adapted to the capabilities of the students and she offers safe and encouraging support to deepen your ability. 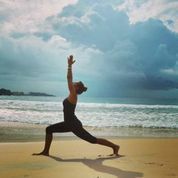 Over the years Sandra has taught in variety of locations such as Goa in South India, Switzerland, Thailands premier health resort Chivasom, the Four Seasons in Chiang Mai, Basunti in India, and for six years at the Yoga Studio, Chiang Mai. She now participates in Yoga Teacher Trainings at Dance Yoga in Kuala Lumpur, Malaysia and is always delighted to come home to Sri Lanka. Saffron grew up on the East Coast of Australia inland from a small town called Byron Bay. Her parents moved to the area as part of a movement of people who were searching for a simple but full life. From a young age she started ballet and contemporary dance which she carried on for most of her teen years. Her mother Martine is a yoga teacher, and under her influence she eventually opened up to exploring the practice. “I soon discovered that it made me feel strong and capable not only physically but emotionally as well. I was able to find a quiet space within my own body which inspired me and fuelled my interest in learning more” She says. “Not just about the physical practice of asana but also the spiritual path of the full 8 limbs”. Day 1 Early afternoon arrival, relax and settle in, meet with the Yoga Teacher at 3.30pm (if possible) for a brief introduction. Optional afternoon class at 4.30 pm. FOOD: what is included and what type of food is it: Three meals per day are included. Dinner includes: fish or chicken on the BBQ, a variety of vegetarian curries and stews, pastas, salads, soups and of course decadent dessert. Instructions for getting there: Retreat price includes a pick up from Colombo or Mattala Airport. Take a pause from the hurly-burly of modern life and becoming a calmer, healthier, happier person. Our classes are challenging, but we think that the best things in life always are. By working hard sensitively, we create an environment that’s healing and that honors each individual, an environment that respects our boundaries and works within him or her. Ashtanga yoga is a series of postures designed to improve strength, balance and flexibility. Yoga is so much more than a just a physical workout – that’s why it’s so addictive. Instructor Name and Bio: Subhash has been practicing yoga for nearly 12 years and has been teaching yoga for the last 10.He has worked extensively in the field of recovery of body and the mind using the Yoga. Have trained more than thousand of national and international participants till now using Yogic as well as behavioral techniques. Yoga for Recovery assists us in releasing the experiences stored in the physical body, while freeing the mind. Through asana, meditation and pranayama we investigate areas of tightness and tension, allowing for the gentle release of that which no longer serves us. He creates a rich, supportive, and powerful learning environment, in which we experience compassion, awareness, change, and healing. Those at any skill level in yoga are welcome. Secondary types of yoga? : ashtanga, breathing, meditation, silent walk, sightseeing. 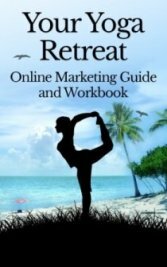 Have A Great Story About Yoga Retreats with Childminding? 2014 Immersion Trainings are scheduled for January, March, May, July and August of 2014. Please email us for an application, specific dates, information about the courses and instructors, and availability on the rosters. 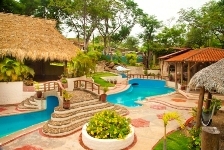 Meal and accommodations packages for U$811. Package Early Bird Discount of $300 available for the first 5 students in each class roster. Limited Space. Please email us for our course outline and application. Do they serve or allow alcohol? Yes alcohol is included in all retreats. transfers to/from Managua International Airport. forms. A place to get involved and give back. Not the typical Ashram, but not a resort either, it’s a perfect blend of both. This company offers on going retreats without any date restrictions and they also offer special retreats with guest teachers, including yoga teacher training. Another one of their offerings is their health and wellness programs. 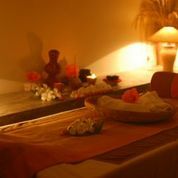 With their wellness and treatment center onsite they offer more than just yoga- including thai massage, swedish massage and much much more. With the daily yoga retreat schedule morning tea begins at 7am followed by a morning Ashtanga including pranayama. Then off to a buffet style brunch and a little free time. In the afternoons you’re treated to a restorative yoga class. Accommodations are just steps away from the beach making it a peaceful and wonderful place to find inner balance. One quick tip though, if arranging transportation it’s best to get a taxi on your own as the center’s van is a little pricey. This is a beautiful waterfront hotel offering Yoga classes in their fitness center. 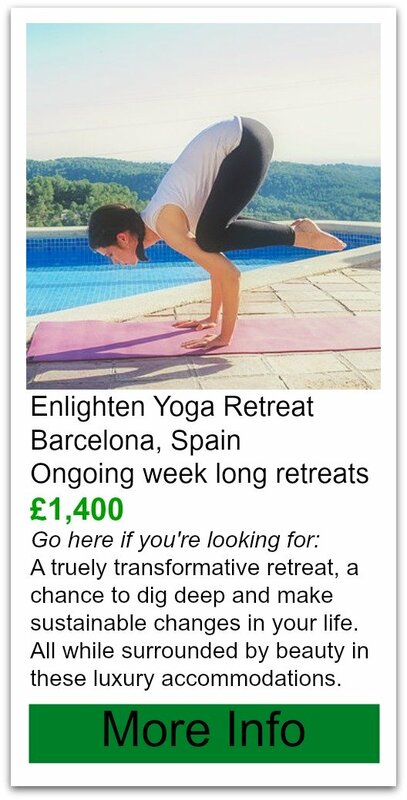 So it’s not really a true yoga retreat but you could make it your own personal one! It’s also a place where you can bring the whole family and everyone will find something to entertain themselves. There is golfing, fishing, boating, horseback riding, beaching, relaxing, going to the spa, shopping or just relaxing by the pool. 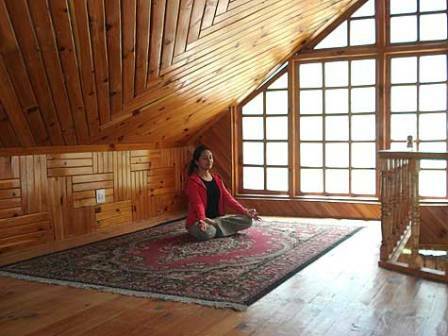 The possibilities are endless, but just don’t expect yoga immersion! Non Yogi partners welcome: oh yes!